I’ve reviewed a number of the Vintage series collaborations between Big Fish Audio and Funk Soul Productions for SOS. Amongst those, I’ve been particularly impressed by Vintage Rhythm Section and Vintage Horns, but all of these libraries provide some sonic authenticity for producers looking to add a retro ’60s or ’70s vibe to their music. 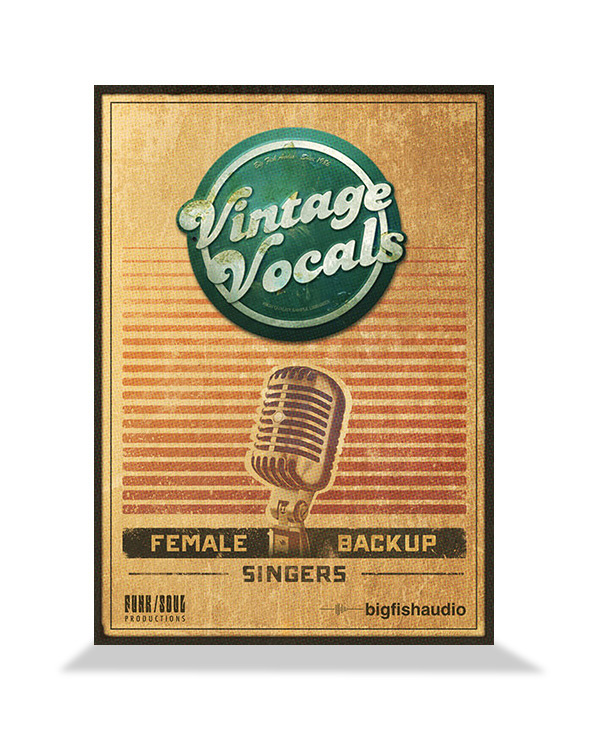 The BFA/FSP team are now back with a further title in the series: Vintage Vocals. This offers three different female singers, a range of performance articulations and, of course, the same ‘retro’ sonic target. The sample base comes in at just over 2GB. Individual, keyswitched patches are provided for each singer — Angela, Janice and Tiffany — each offering three vowel sounds (Ooo, Oh and Ah) and three articulations (swells, staccato and sustained). Obviously, given this combination, the prime use of the instrument is going to be to provide backing vocal performances. In addition to the single singer patches, there are also ensemble patches for the sustained articulations that provide unison, major chord and minor chord performances. However, for me at least, the best instant gratification patches were to be found amongst the Multis, with the ‘3 Girls Unison All Articulations’ allowing you to construct some very full-sounding two- or three-note harmonies. In terms of the performance flexibility offered, it might have been nice to have something more obviously legato-like, but you can do a reasonable pass at faking this if you tweak the attack setting of the sustained articulations. The Kontakt front-end provides you with some useful (and fairly simple) sound-shaping options including bass, treble, reverb and an ADSR envelope. The reverb offers a number of very characterful types including plates, studios and rooms and, as befits the title, these are mainly of the vintage variety. There is also a rather nice tape saturation option and, while you might have more sophisticated dedicated plug-ins for this, it does a good job if used in moderation. Of course, as with the Vintage Horns libraries, there is more to getting a convincing end result than loading up a suitable patch and hitting a few notes on your MIDI keyboard. 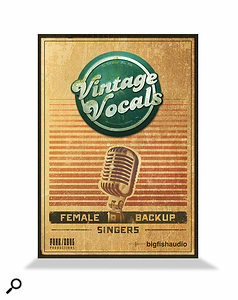 Sonically, Vintage Vocals supplies the sound — retro vibe included — but there are some arrangement skills required to create performances that ‘fit’ the style. Equally, backing vocals are exactly that, an accompanying instrument, so the sounds need to be used accordingly or their sampled nature might become a bit obvious. That said, dropped in for some ear-candy, Vintage Vocals can do a great job of adding ‘human’ to your latest ’70s TV cop show cue. Perhaps not quite as much of a ‘must buy’ for media composers as Vintage Rhythm Section or Vintage Horns but, if your budget can stretch to it, Vintage Vocals is a cool addition to the Vintage series.